Tired from the antics of a character, a creator finally decides one evening to let go, push his creation off a ledge and leave. Perhaps his eyes are set on fresh pastures. Or he might have found this one character he himself has created from void, a burden, his death, that dead albatross around his stretch of creative neck. Better leave him behind and go, he tells himself. So in the next story he sits with his fictional villain, plots a trap, and pulls it off with such ease that only authors can do with their characters as and when they get pissed off with their Frankensteins. Period. Sorry, no period, story continues, the character too, much to the chagrin of an embarrassed writer. Come on! Who can question the authority of the creator in doling out life and death to his characters! Who could stand in the way! 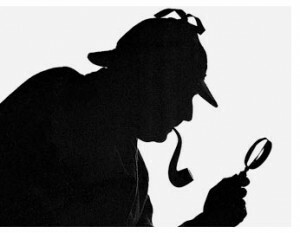 For millions around the world, an address – Sherlock Holmes, 221 B Bakerstreet – answers to this question. Within few years after his creation the fictional detective, Holmes, seemed to his readers more real than his creator Athur Conan Doyle. No wonder they could not let their man go down in memory after the whim of its author whom they hardly cared of. They could not reason with the logic of the writer’s sudden decision to kick the bucket out of Holmes. Mailboxes were bombarded with hate mails and threats. Bring back our hero or die! Public pressure built up to such a level that Doyle was forced to breathe life once again into the late hero, making him get back to the street of action. It was a triumph of character over author. In the 1950s the legendary story of the great detective found resonance in a place named Minnesota in US. Only this time, the character was not a human. It was a bear. You heard it right, a bear! The beast started out its life as a cartoon mascot in 1952 , screaming out to the television audience the virtuousness and purity of a beer, produced by Theodore Hamm Brewing company. Pretty soon Hamm’s got itself intricately tied to the animal it created. A menagerie of cute little animals – beavers, squirrels, and others – pranced and barrel-rolled around the pastoral setting of Minnesota to that jingle emphasising the purity of its sky, water and of course a beer. 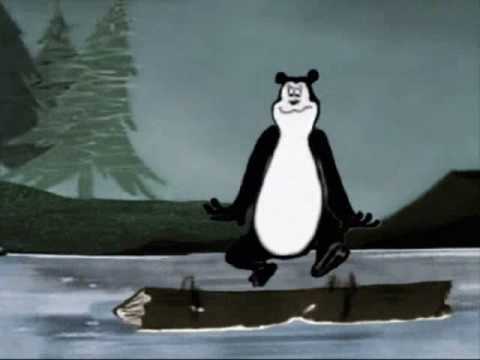 For the viewers of the 50s the experience was something new and magical, as animated beavers beat their tails in abandon to the tom-tom beats in the jungle, etching in their minds a mythical land of sky blue waters where all things came pure. But, something was still wanting. 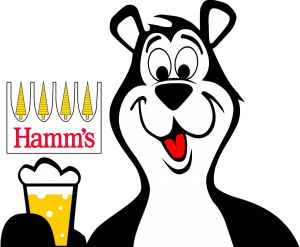 It was Cleo Hovel of the advertising company who asked his business acquaintance, Ray Tollefsen to draw a bear for the promotion of the beer. Ray roughed it out on paper, hardly knowing, a legend had just flew off his pencil, taking life, a life that would outlive him, the creator, and even the company by its fame. Cleo liked what Ray drew. What remained now was to create some wonderful and humorous storylines to take the character deep into the hearts of viewers. In the second ad in 1952, the bear was introduced. It struck a chord. Sascha, as the beast was known in the brewery, danced, tripped and fell, picked his elaborate mass up, evoking peels of laughter across the country. But as the company changed hands over the years a few entrepreneurs down the line tried to rip the bottle away from the furry animal, trying to lay him off after his meritorious service. They all had their hands burned. To their relief they knew the surefire method to bring back sales – get the hero once again into the service. Only the bear held the key to the hearts of people. They realised. 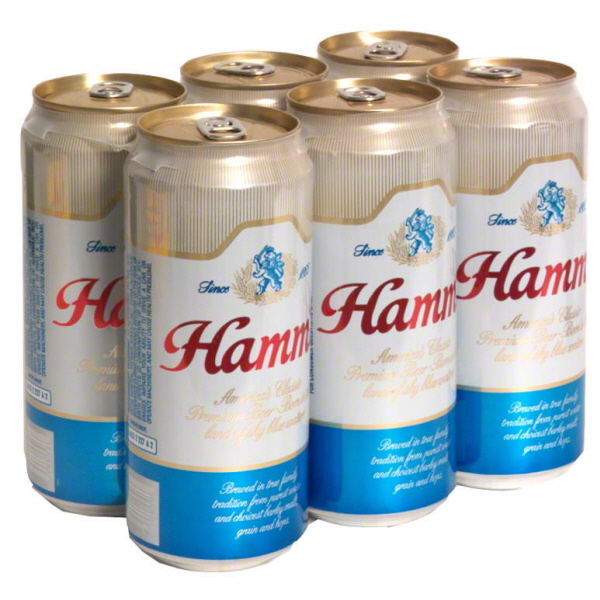 In 1999, Hamm’s bear was nominated as one of the best ad campaigns in 100 years by Advertising Age Magazine. In 2005, a mascot of the legendary animal was set up in St Paul, Minnesota.